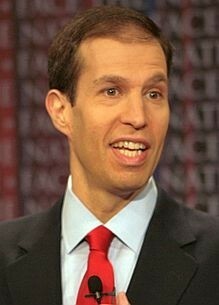 Mehlman had begun to make amends by helping to pass marriage equality in New York and in Maryland. Still, many of us remained critical because something serious was lacking which was a genuine apology. It is important for the sake of history that people are named and held accountable — so the same mistakes will not be repeated in the future. The anti-gay marriage fights in 2004 were psychologically damaging to our community, not to mention the wasted millions of dollars we unnecessarily spent to fend off the hateful amendments. To truly begin the healing process, it was critical that Mehlman fully owned up to his role in fomenting hate and causing harm. Today’s comments were extremely important and will help melt much of the ill will that still exists around Mehlman. I am glad that he took this critical step and look forward to working with him in the future on securing equality for LGBT people.